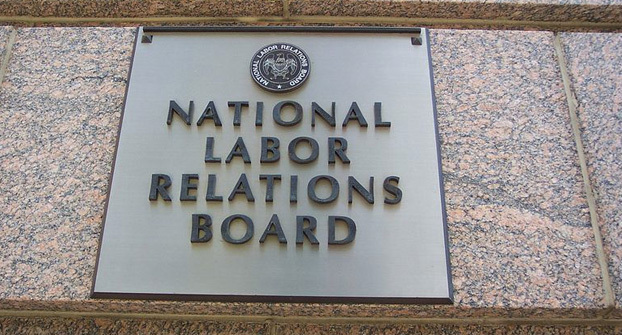 Until this NLRB reversal of longstanding precedent, the definition of employer was straightforward: if the employer exercises immediate and direct control of a worker, then that worker was an employee. This clear line meant that the employees of independent franchises were only treated as employees of the franchise, not as employees of the larger brand chain to which the franchise belonged. And this makes sense: a company like McDonalds corporate does not set the hours, direct the actions, or supervise the workers at its franchises. This is precisely the purpose of the franchise system, it allows small businesses to be established and run independently, but with a recognizable brand that provides some operational support. The NLRB decision changes this longstanding balance. The NLRB now says that “indirect” or “potential unexercised” control is sufficient to make a franchisor qualify as an employer. This potentially imposes significant costs as a franchisor now can be held liable for the actions of its franchisees, even though it does not exercise control over those franchisees. Even worse, this new standard is impossibly vague, there is no definition from the NLRB of what these terms mean; “potential unexercised” can cover virtually anything an enterprising bureaucrat might imagine. As noted by two of the witnesses in their written testimony, this NLRB decision threatens to destroy the franchise model of business. One witness, a franchisor, faces a difficult prospect: in order to protect herself from liability, she will have to impose much closer oversight over her franchisees. Besides the added costs for her to do that, her franchisees will effectively lose their operational independence as small business owners. On the other side of the coin is a franchisee like Lynn Berberich. She runs a local franchise of BrightStar Care with around 200 employees. Brightstar’s response to the NLRB ruling has been to pull back the support services they previously offered their franchisees in order to protect themselves from this new and uncertain liability. This has meant that Lynn has lost access to the integrated applicant system which she used to screen and recruit employees. Without this system, Lynn now must bear all the costs of recruitment as well as paying for her own applicant tracking system. BrightStar will also soon remove its franchisees from its payroll system, adding another cost onto Lynn. As a result of these changes, Lynn has held off expanding into a third franchise territory. The Coalition to Save Local Business has recorded the difficulties this uncertain, unnecessary new ruling has created: increased operational costs, increased litigation costs, and stagnant growth as franchisors and franchisees alike avoid opening new locations. All this translates into fewer jobs and fewer small businesses. What possible reason could the NRLB have for abandoning this decades-long precedent? Why would the federal bureaucracy undermine a system that has been so effective in creating thousands of successful small businesses? The answer is regulatory capture: bureaucrats are doing the bidding of Big Labor. It takes a lot of work to try to set up labor unions at a large number of small businesses, but if you have a friendly regulator, they can just change the rules to benefit you, no matter what sort of damage that causes for jobs or for small businesses. This is yet another lesson about the danger of empowering the regulatory state: once created, regulations all too easily become a weapon that special interests can use against their enemies. Regulation does not create, it only destroys. It is important that the people’s elected representatives continue to shine a light on this regulatory overreach.